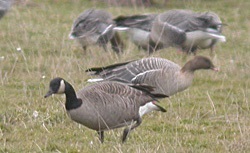 Highlights: The Todd’s Canada Goose, last seen in October 2012, reappeared among the Barnacle Geese at Whitrigg and Newton Marsh (26th-28th) while the drake Green-winged Teal lingered at Hodbarrow (to 18th). Highlights: The corpse of a White-tailed Tropicbird was picked up on the beach at Mawbray Banks (6th); a first for Britain if accepted. 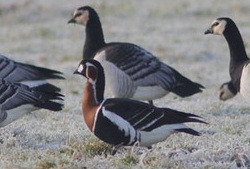 The drake Green-winged Teal lingered all month at Hodbarrow. 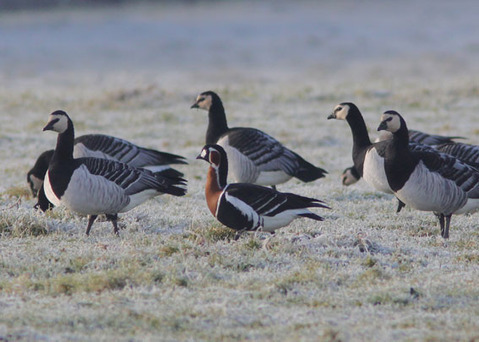 Highlights: The adult Red-breasted Goose continued to associate with Barnacle Geese at Cardurnock (to 2nd) while the drake Green-winged Teal lingered at Hodbarrow all month. 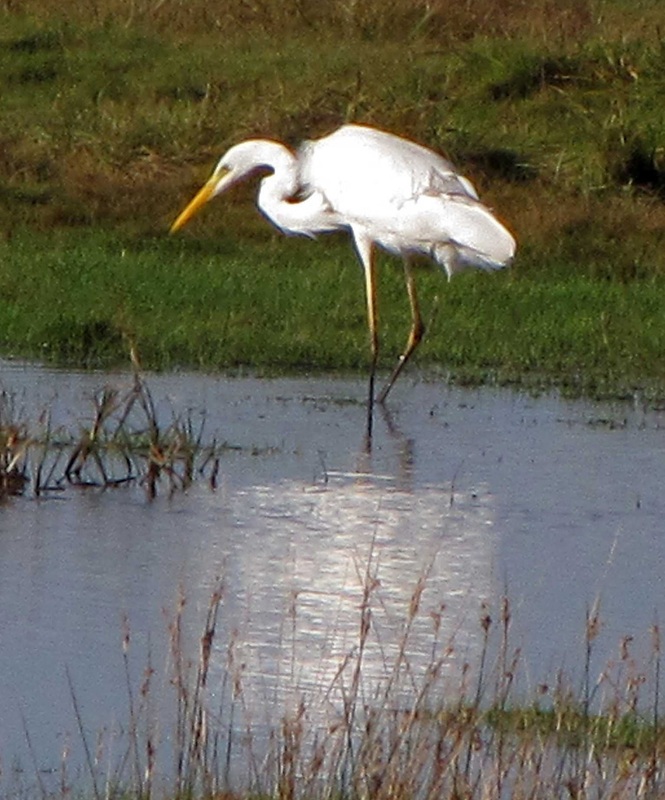 Meanwhile, the long-staying Great White Egret remained in residence at Campfield Marsh (to 1st) and a Great Grey Shrike was photographed at Culgaith near Penrith (9th). 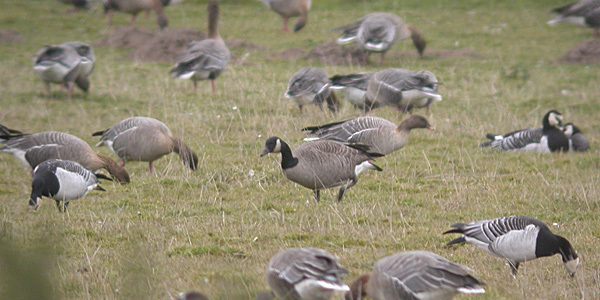 Highlights: Two vagrant Canada Geese, both potential county firsts, were found associating with Barnacle Geese on the Inner Solway as a Richardson’s Canada Goose at Whitrigg (25th-26th) was, amazingly, followed by a Todd’s Canada Goose at nearby Cardurnock (27th). 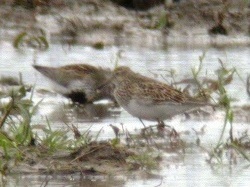 An adult American Golden Plover at Cardurnock (26th) was considered to be one of the birds seen at Drumburgh in September, while an adult at nearby Longcroft (27th) then Cardurnock (28th) was, remarkably, a new bird, the third of the autumn. 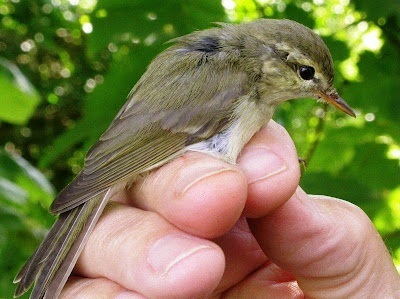 At the opposite end of the county, Cumbria’s second Cetti’s Warbler was found at North Scale, Walney Island (28th-29th). 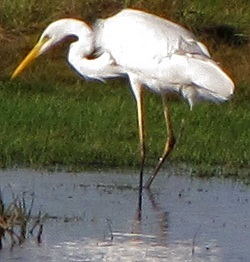 Meanwhile, last year’s long-staying Great White Egret returned to Campfield Marsh (from 10th). 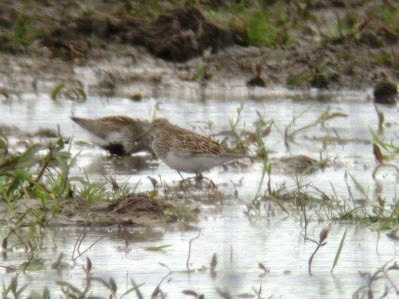 Highlights: A spectacular array of Nearctic waders dominated the month with a brief Pectoral Sandpiper at Kents Bank (17th) followed by an adult American Golden Plover that frequented the Inner Solway between Bowness-on-Solway and Drumburgh (18th-26th), single Buff-breasted Sandpipers at Selker (19th) and Walney Island (19th-21st), a Long-billed Dowitcher at Drumburgh Marsh (27th) and then, amazingly, another adult American Golden Plover at Drumburgh (28th). From the east came a Yellow-browed Warbler at Westfield Point near Barrow-in-Furness (25th). 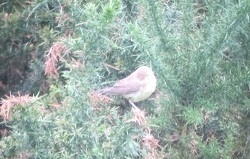 Highlights: A Melodious Warbler found at Snab Point, Walney Island (19th) was the first in the county since 2003. Bassenthwaite Lake: The Osprey pair successfully fledged their single chick. 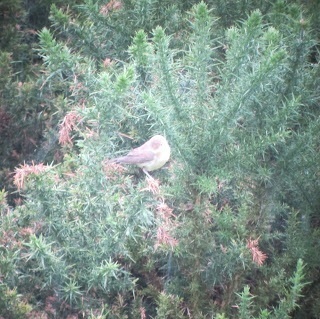 A flock of 20 Crossbills was seen at Dodd Wood.